There are many great organizations working all around the world and we love joining our forces and connecting our supporters. One such organization is Otesha Project. 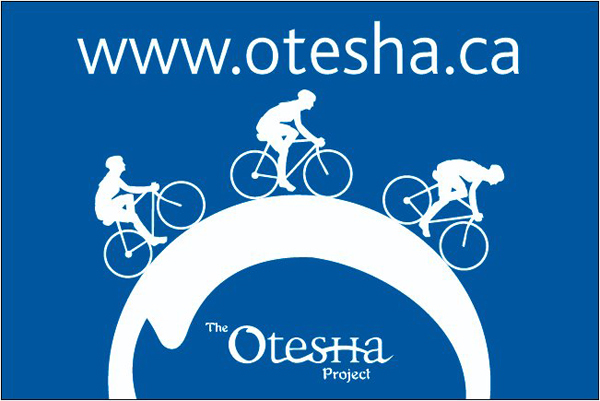 Otesha is a registered charity that seeks to mobilize and equip Canadians to create local and global change through their individual and collective choices. Much like PEPY Tours, they create learning cycling adventures that take participants across Canada meeting local changemakers, environmental experts, and exciting projects. As participants traverse the region by their pedal power, they share the lessons on social innovation and change with young students across the country. If you want to join them on any of their 2013 adventures (and you should! ), they are kindly offering past PEPY Tours participants some great discounts and free resources. Feel free to contact Kira at [email protected] for more information (please specify that you are past PEPY Tours participant when reaching out). PEPY Tours launches a new online look, new features, and more informative resources. Our new PEPY Tours website is just over a month old and we’ve greatly appreciated hearing kind feedback from a number of you. It appears that people enjoy the new look and new features and we sure are glad to give both our new visitors and existing followers an inspiring place to e-roam. 1. BLOG-ALICIOUS! – PEPY Tours and PEPY NGO have been running a joint blog about educational programs and tours for a number of years but we couldn’t resist sharing even more ideas about responsible tourism practices, global citizenship, and experiential education with the world. So with the new site we launched a separate PEPY Tours blog to share all the amazing lessons and ideas on these topics. Going forward we are looking to write a lot of our original content as well as feature guest writers from our tours and an ever-expanding support base. Maybe your idea can be the next blog-post? We have also included a feed from PEPY Reader in the sidebar so you can catch up on current global development issues and responsible tourism news as you visit the blog each time. So check it out and come back regularly for more exciting content (or just sign up for the RSS feed and you’ll get the updates in your reader of choice). 2. MAKEOVER – It’s not just about looking better (though it is pretty) but also giving visitors a better user experience. We’ve trimmed down a lot of the weight, making the site cleaner and neater. Don’t worry, we didn’t delete any groundbreaking PEPY Tours content, just learned to summarize better. We’ve tried our best to make relevant information easier to find. PEPY Tours has a lot of various-purpose content to share. 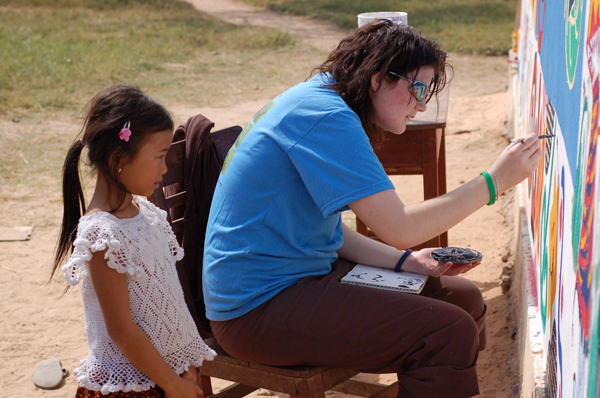 We’ve got our tour offers, responsible tourism, Cambodia-specific, and participant resources, the mission and vision of our social enterprise, and more. Each of these topics now has its own section or tab. The information for general public is available in the top menu while audience-specific information is located at the footer (like resources for participants, media, or job opportunities). At the end of the day though, you be the judge. We would love to hear from you about your experience finding relevant content on our site. Is it more comparable to a walk in the park or an episode of Survivor? 3. IT’S ALL IN THE DETAILS –While we trimmed a lot of the lengthy descriptions, we also added useful details to our tour offers in response to the many similar inquiries we’ve been receiving from interested participants. Each tour now follows the same visual template with learning goals, sample itinerary, tour-specific testimonials, and a photo gallery. Most importantly, we’ve added a section about what makes PEPY Tours and that specific tour unique. Our educational focus, long-term impact, and an amazing local trip leader team are just a few points of difference; you can read about the rest here. There are a number of smaller additions like a twitter feed, homepage tour features, more and better imagery, and custom graphics (thanks to our amazing designer Wei Peng), which we hope will all add up to a more fulfilling visitor experience for you. Whether you are on the site to book a tour, learn about Cambodia, use the tools and resources, we hope that your each visit is enjoyable, informative, and inspiring (yes, we dream BIG). Feel free to linger for a while, come back often, and share your findings with the world. Soe Thiha for developing the PEPY Tours awesome original site that lay most of the groundwork for the new one.